For the first time since September 2012, the Toronto condo market recorded a modest average price increase of 1.9%. 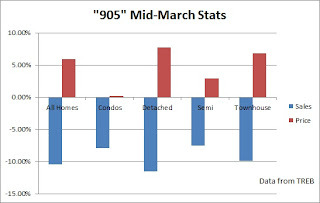 Condos in "905" went up by 0.2% according to TREB. 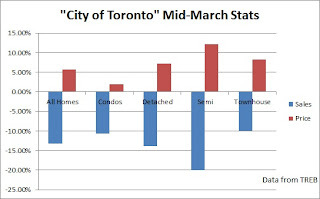 The average condo price in the GTA went up by 1.3% during the first two weeks of March compared to a year earlier. As usual sales were down in both markets across all types of homes. GTA total sales volume declined by 11.5%. 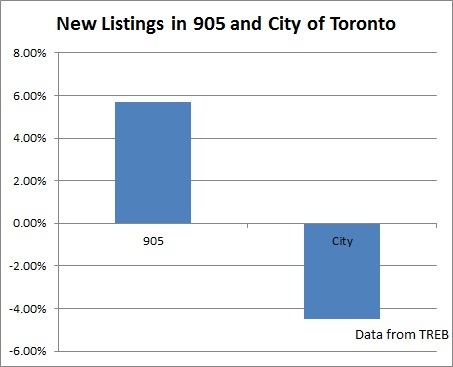 City of Toronto sales went down by 13.3%, and "905" sales volume declined by 10.4%. 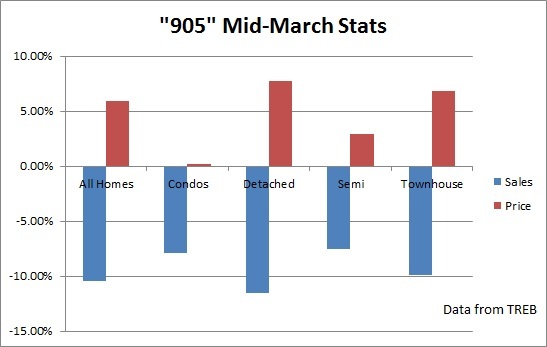 Have we reached a new permanent plateau of high condo prices? I don't think so. 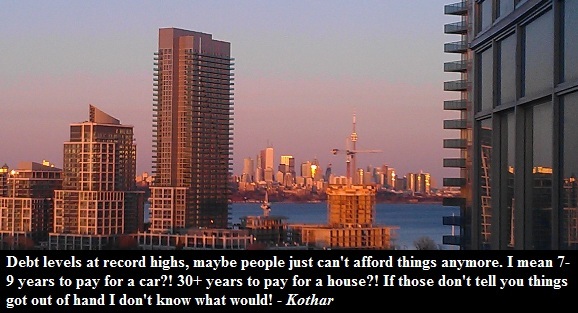 Toronto condos are still a bubble, and it will take time for it to deflate. Continue reading to view the mid-month charts.